There’s a story that’s been making the rounds lately on the internet and at least one morning show, and it centers around a bad review. The picture on the left is one taken by a bartender in Seattle, which shows that her tip was a big fat zero, accompanied by an editorial about her weight. Think that’s a bad review? The bartender in question hopped online and posted the photo of the receipt on her Facebook page (it has since been removed), which was shared by tons of people. Within two days, the story was burning across the internet, featured by bloggers and letting the whole world know not only his name (and signature), but where he worked, details of his previous college life, his Facebook page, and probably more. A few days after this story appeared on my radar, we met with a client who has had a couple of bad reviews posted in different places. Since we deal with online reputation management, he wanted to know if there was any recourse regarding these bad reviews. The guy featured in the photo above left his comment beneath his name and signature. Like him, you’re leaving an impression on everyone who walks through the doors of your business and interacts with you, and you don’t have the luxury of anonymity. This luxury, however, is afforded to each one of your clients who decides to leave a review anywhere on the internet. Remember when you were in junior high and one of the daily routines in your life was being made fun of by your enemies? Like me, I bet you can name at least three negative comments people made or situations that even now make your face turn a couple of shades of red. When I taught junior high kids, I regularly told them that the only good thing about these couple of years of preadolescence was that they never needed to be repeated. But what about the great things about junior high (don’t laugh)? If you sat and thought for awhile, there are probably a couple of positive experiences that you can dig out of your memory bank. But it takes time to come up with those positive experiences as opposed to the negative. Why is it so much easier to remember the negative than the positive? The good news is that all of these list businesses for free. The bad news is that anyone can leave feedback – positive or negative – any time. So What Can You Do About Bad Reviews? You can’t please everyone all the time. It’s much easier to garner bad reviews than good ones. Clients will tell others about their dissatisfaction before they’ll tell you. This is unfortunate – my personal understanding is to praise publicly and criticize privately – but the internet offers a free anonymous pass to anyone who wants to say bad stuff about you or your business. Don’t hop on the internet just yet – if you answered every bad review in the public eye that the internet provides, you may just end up looking like a chump. But there is a way to fight those bad reviews – like Darth Vader and Luke Skywalker, the only way to fight the bad is with more good. The easiest way is to capture your clients’ attention regarding the review process as you see them. Type up your listing information on a half sheet of paper and hand them out to each customer with whom you interact. Invite people to be Facebook friends or Twitter followers and encourage them to leave reviews in those places. Interact with customers through your LinkedIn profile and ask for their recommendations. 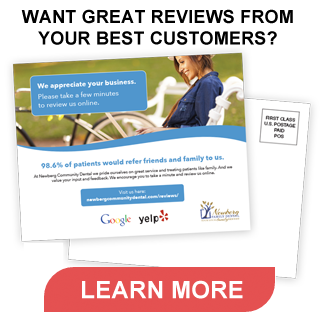 Offer a prize for leaving a review on your Yelp or Google Places page – one of our clients gives away free movie tickets when his customers leave a review. The important point here is to ask for those reviews. Thankfully, bad reviews are rarer than good ones, but the good ones are often never voiced. But if you request some feedback from your clients and tell them how to leave a good review, chances are good that they will share their good experiences on the internet. And, with enough of these reviews, good will prevail!